Make your Congressional Appointments here. 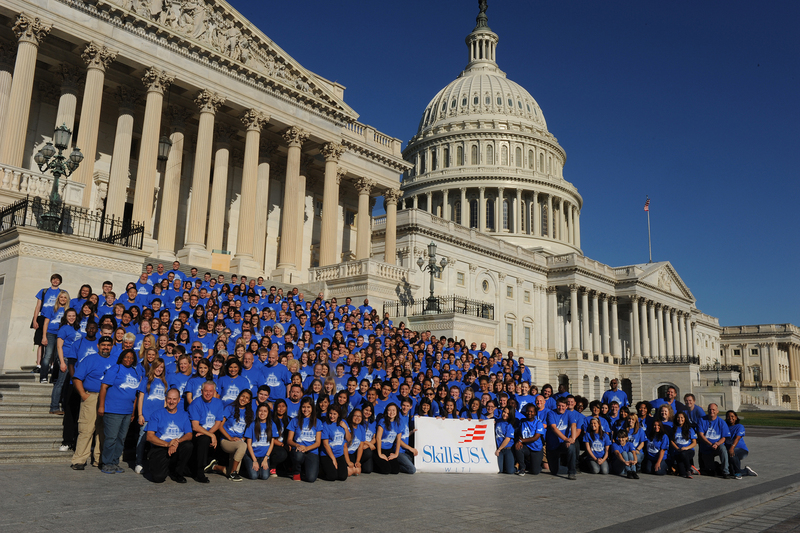 SkillsUSA offers advanced training for students and advisors that focuses on the skills needed to be champions at work, in the communities and in their personal lives. It’s known as the Washington Leadership Training Institute (WLTI). Student attendees must apply to attend the conference, which will focus on developing advanced leadership, citizenship and employability skills. Members of SkillsUSA who are committed to the developing their leadership potential. Interested students need to apply to participate. Applicants must articulate their leadership commitment by submitting information on previous experiences and leadership training. Acceptance of students is based on a history of involvement demonstrating a commitment to leadership development. Applicants should describe their active roles in school, community, church and/or other organizations. You can download an application here. Applications are due in the state association director’s office by Aug. 8. Registration must be completed by the state association director by Aug. 29. If you must cancel, the final deadline is Aug. 20. Where are we staying and what is the cost? $100 per person. 4 students per room. 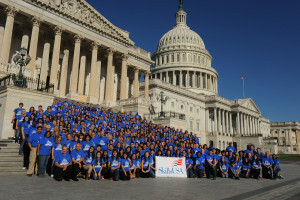 The above cost includes souvenir T-shirt, awards, participant notebook, conference materials, bus transportation (two trips to Washington, one visit to National Leadership Center and Dulles airport shuttle), and eight meals at the hotel. Note: SkillsUSA is not responsible for hotel accommodations. Rooming lists need to be submitted through state director. Is there anything I need to prepare or know before attending? WLTI Assignments: There are pre-conference assignments. Click here for more information. Note: For student participants, please remember to have your pre-conference assignments completed before the start of the conference. Please bring a hard copy of your paper and presentation on it with you! Congressional Visits:A highlight of WLTI is when students get the opportunity to visit with elected officials. It is the responsibility of each state association to make or coordinate visits and appointments for their delegation. You can download a sample appointment request letter here. When arranging for congressional visits, email your letter of request directly to your official’s office, or fax or make a request by phone. Mail service has complex safety checks and is extremely slow. Note: It is appropriate for each state/delegation to bring gifts (e.g. ball point pens, SkillsUSA pins, coffee mug) for each congressman/congresswoman and staff person visited. WLTI Statesman Award: The coveted WLTI Statesman Award is presented each year to participants during WLTI who have demonstrated their leadership skills and have mastered certain requirements in leadership training. What to Bring and Dress Code: Participants should bring SkillsUSA attire: Blazer, windbreaker or sweater, Black pants or skirts, Black socks/hosiery, Black professional shoes, Black ties (males only), white shirt. On the casual side, comfortable shoes, jeans, shorts, T-shirts; fun clothes, camera, spending money and sweater or jacket (September in Washington can be cool). Daily photos from the Washington Leadership Training Institute. Consider budgeting for you and your student leaders to attend the Washington Leadership Training Institute (WLTI) held in the nation’s capital Sept. 22-26. This conference offers advanced training for students and advisors that focuses on professionalism, communication and leadership. During the conference, participants will demonstrate the use of these key essential elements while advocating for SkillsUSA and career and technical education. Additionally, participants will have the opportunity to tour Washington, visit the SkillsUSA National Leadership Center and watch the changing of the guards along with a wreath ceremony at the Tomb of the Unknowns.